Halloween contest winner: Debbie is well "Liked"
Congratulations to our Halloween costume contest winner Debbie. 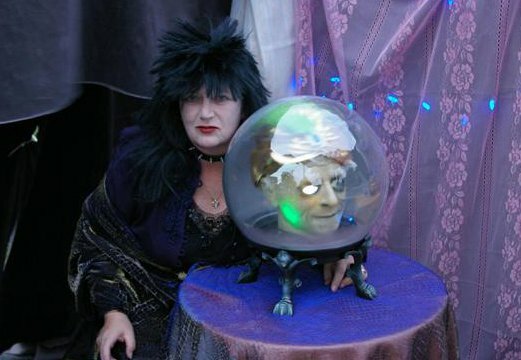 Dressed as a spooky fortune teller, Debbie was our first entrant and was able to rally her friends and family to vote (Like) her photo on our Facebook page 32 times! For her winning entry, Debbie has won an exclusive Popcorn Palace commemorative Halloween tin filled with delicious gourmet popcorn. Thank you for everyone who entered, it was a great contest with some really creepy and cute photos. Below are two other fan favorites. 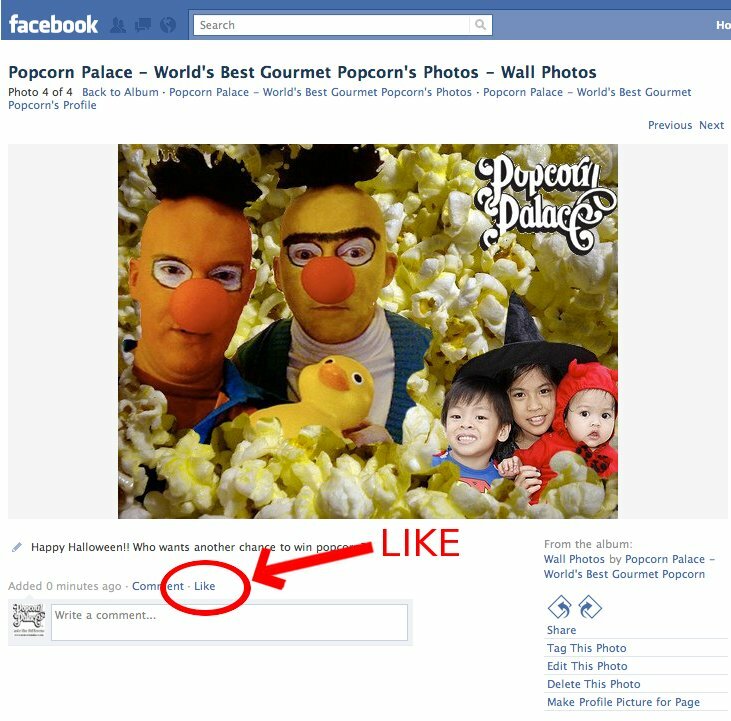 Check out Popcorn Palace on Facebook here. Halloween is all about treats (and tricks) and we at Popcorn Palace want to share some of our treats with you. You have just one week to enter to win an exclusive Popcorn Palace commemorative Halloween tin filled with delicious gourmet popcorn. All you need to do to win is upload your best halloween costume photos (of you or your kid/s) onto our Facebook page. The winner will be the photo with the most Facebook “Likes.” So, post your photo and get your friends and family, ghosts and ghouls to visit our Facebook page and click on the “Like” associated with your photo. The winners will be the user who submits the photo that receives the most “Likes” on Facebook as of midnight (CST) on Oct. 26, 2010. We will contact winners through a Facebook message. Winners must reply with mailing addresses within 2 days (48 hours) of message being sent. This promotion is in no way sponsored, endorsed or administered by, or associated with, Facebook. You understand that you are providing your information to Popcorn Palace and not to Facebook. The photos you provide will only be used in a Facebook photo album and possibly on a future Popcorn Palace blog post. October is National Popcorn Month and we want to celebrate by giving one of our wonderful fans a bucketload of our delicious gourmet popcorn. All you need to do is visit our blog and email the answers the following 10 questions to fundraising@popcornpalace.com. The winner will receive a very special 3.5g tin containing mini-bags of ALL our flavors (33 mini bags total). Read on and good luck! 2. What state are the Mighty Tiger Band representing on their trip to the White House Ellipse? 3. What flavor did Sheetal Bhagat, a finalist from TV’s Masterchef create for Popcorn Palace? 4. Which teams made it into the finals of the Hotspurs Labor Day Soccer Tournament? 5. What flavors of Popcorn Palace popcorn did Rob and Carrie Moran have at their wedding? 6. At which baseball field are you most likely to find the ladies of Popcorn Palace? 7. Which brewery decided to create a unique and delicious beer made of popcorn? 8. What breed of dog does Homeward Bound help find homes for? 9. How much pressure is required inside a kernel of popcorn to make it pop? 10. What year did ING Hoops Youth Organization become a non-profit? The Winner will be drawn on Monday, Nov. 1, 2010. We will contact the winner via email. Winners are responsible for responding with postal address. Postal address must be submitted within two weeks (fourteen days) of email message. This promotion is in no way sponsored, endorsed or administered by, or associated with, Facebook. You understand that you are providing your information to Popcorn Palace and not to Facebook. Welcome to our new home (page)! 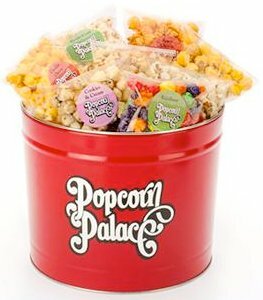 Launched just last night, Popcorn Palace’s new and improved website (popcornpalace.com) makes finding and buying your favorite gourmet popcorn couldn’t be easier! 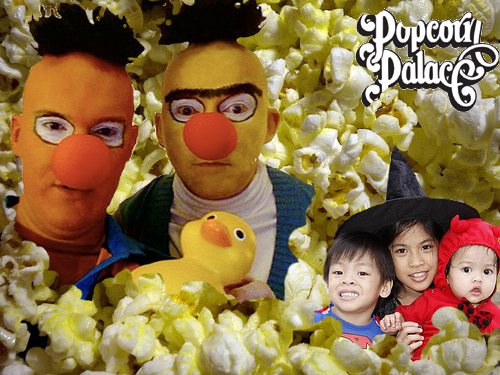 The bolder, brighter website features bigger, more appetizing pictures of our popcorn. We are also pleased to announce that we’ve introduced seven new flavors, which include: Berry Your Blues, Fleur de Sel and Ginger Caramel Rogers to celebrate our new site. And while the new site has more convenient navigation and a simplified shopping process for consumers, it also makes life simpler for our fundraising folk. The redesigned fundraising section allows you to manage your account through a dashboard, giving you a convenient account overview. So whether you are selling or eating our popcorn, our new site was built just for YOU! Check out our new site and flavors today! 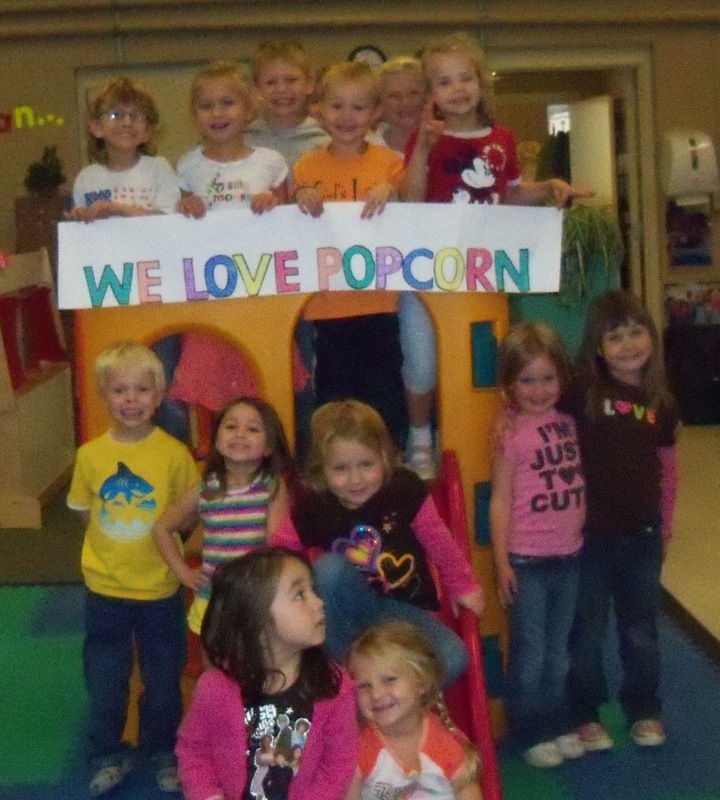 Popcorn Palace + Aberdeen YMCA Childcare Center = $uce$$! 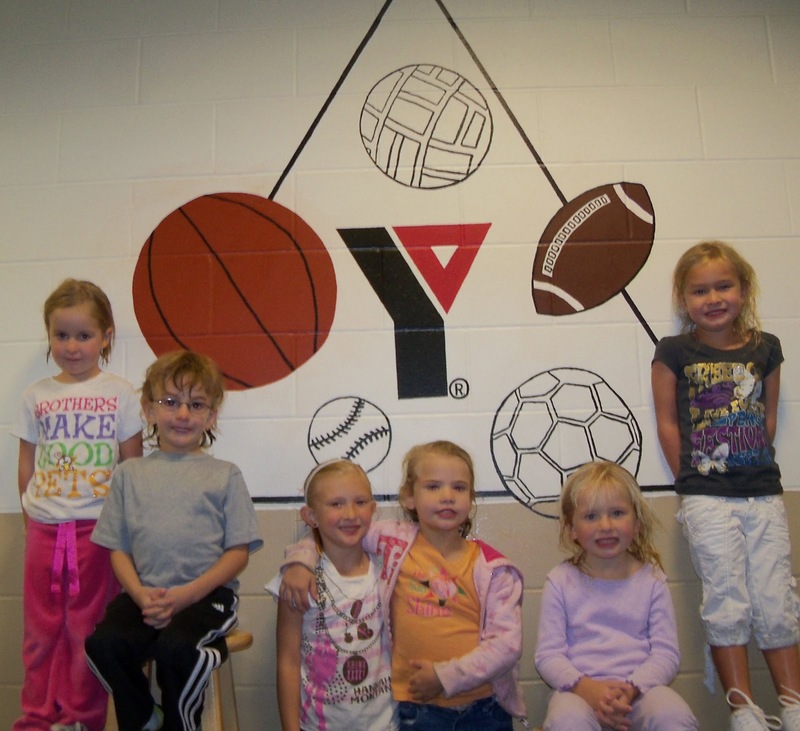 Amy Severson, the preschool teacher for the YMCA Childcare Center in Aberdeen, SD, for the past 19 years, doesn’t quite remember how she became in charge of the fundraising program, but has been doing it for the many years. The center takes care of infants from six weeks up to six-year-old children, and another building houses a program for school-aged children. In the past, they hadn’t had very many parents participate in their fundraisers and so, Severson was looking for a change. 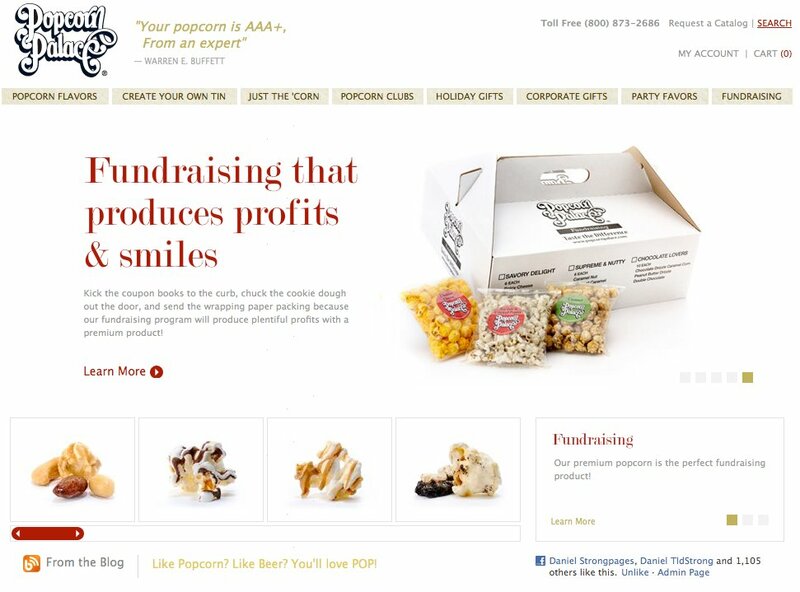 Severson says that the product sells itself: “With this past popcorn fundraiser, we heard a story about someone’s grandparents grumbling about the price of the popcorn, but after they received it they were begging us to tell them how they could get some more! We love fundraisers l like that. Everyone loves popcorn!” They do, indeed! Check out the Aberdeen YMCA on Facebook here and Popcorn Palace here.